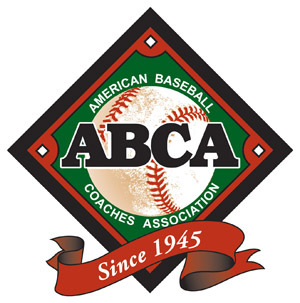 The Louisville Slugger NCAA Division I All-American baseball teams and National Player of The Year were announced today by Collegiate Baseball newspaper. RHP Taylor Clarke, College of Charleston (Pitcher of Year Colonial Conference). RHP Carson Fulmer, Vanderbilt (Pitcher of Year Southeastern Conference). LHP Matthew Crownover, Clemson (Pitcher of Year Atlantic Coast Conference). Relief David Berg, UCLA (Pitcher of Year Pacific-12 Conference). Relief Tyler Jay, Illinois (Pitcher of Year Big Ten Conference). C Chris Robinson, Morehead St. (Player of Year Ohio Valley Conference). 1B Will Craig, Wake Forest (Player of Year Atlantic Coast Conference). 2B Melvin Rodriguez, Jackson St. (Player of Year Southwestern Athletic Conference). OF Andrew Benintendi, Arkansas (Player of Year Southeastern Conference). OF Donnie Dewees, North Florida (Player of Year Atlantic Sun Conference). OF Kevin Kaczmarski, Evansville (Player of Year Missouri Valley Conference). 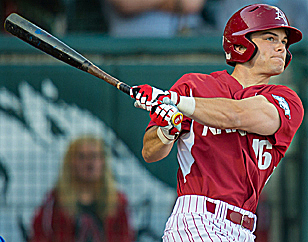 Arkansas’ Andrew Benintendi is Collegiate Baseball’s National Player Of The Year after a remarkable season. He hit .391 with 18 homers, 12 doubles and swiped 22 of 26 bases. He is the first SEC Player of The Year in program history. Benintendi is one of only two players in the country with 15-plus home runs and 20-plus stolen bases and is on pace to become the third player in SEC history to finish the year as the league leader in home runs and batting average. He currently leads the SEC in batting average, home runs, slugging percentage, on-base percentage and walks. If that wasn’t enough, he is only 8 RBIs shy of becoming the second Triple Crown winner in SEC history. The first team features one pitcher with 152 strikeouts (Missouri State’s Matt Hall) and another with a 10-0 record (Alex Lange of LSU). Both closers (David Berg of UCLA and Tyler Jay of Illinois) put up monster numbers. Berg posted 12 saves and a 7-1 record with a 0.73 ERA. Jay was 5-1 with 13 saves and a 0.64 ERA. 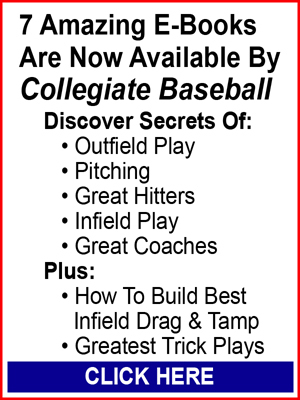 The first team offense features remarkable power, line drive hitters and speed. Six hitters collected 16 or more doubles led by Chris Robinson of Morehead St. with 25. 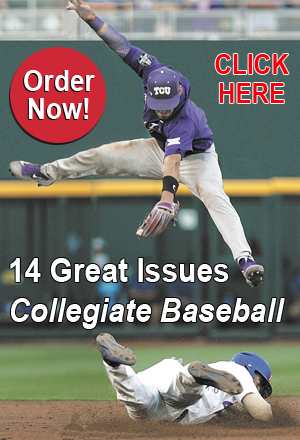 Alex Bregman of LSU had 32 stolen bases on the season to lead first teamers. 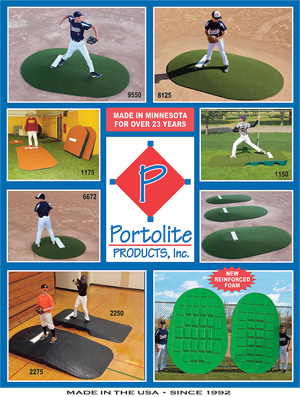 To view the 2015 Louisville Slugger All-American selections, CLICK HERE.